What is an anchor point? 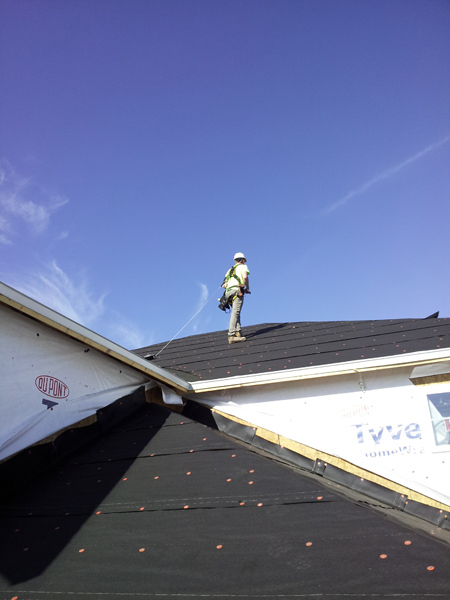 An anchor point is an integral part of a fall protection system, and also a vital piece of equipment for anyone that works on roofs or other elevated surfaces. 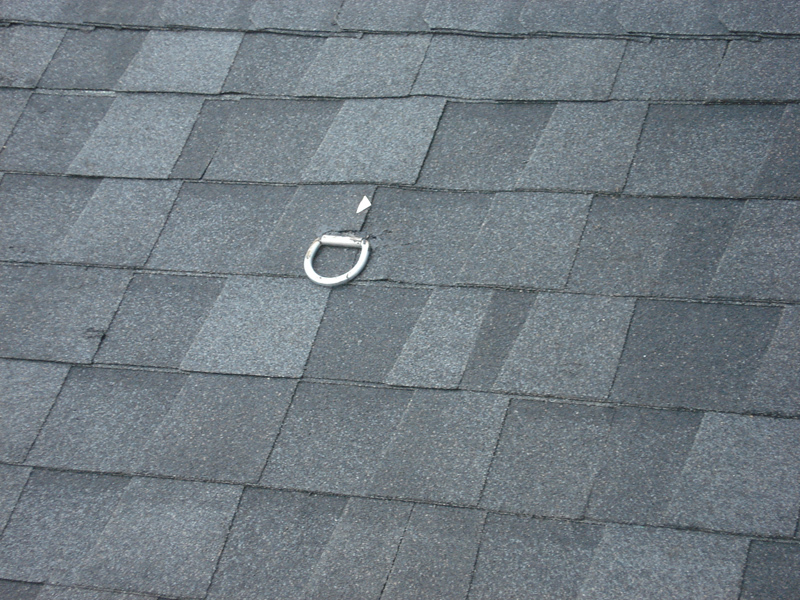 Anchor points are typically installed on a roof and connects lanyards and lifelines to a worker wearing a body harness. The attachments can range in complexity from simple D-rings to entire personal fall arrest systems. Even though engineered anchor points are the safest and best solution, workers can also tie-off to existing structures, which can present a problem. The issue with picking an existing structure as an anchor point is that it is almost impossible to accurately calculate the load requirements for them. 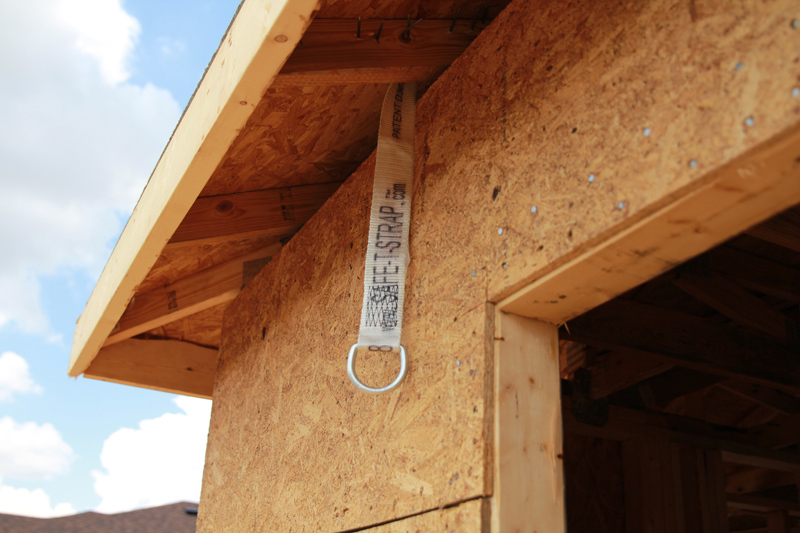 Other than a traditional I-beam, there are few things that qualify as a safe, OSHA-approved way to tie-off. In order for an existing structure to qualify as an anchor point, it must be able to withstand 5,000 pounds of force per person attached, or a safety factor of two (meaning it can withstand twice the force that would be applied in a fall). What’s the problem? The problem is that just by eyeballing the job site, it is almost impossible to calculate the exact force these structures can withstand. Not only that, but most people on a job site have no clue about the OSHA requirements, so how on earth could they calculate the correct specifications for the force of a fall? Unless you are a trained safety professional, it is almost impossible to choose a qualifying existing structure as an anchor point in the spur of the moment. That’s why the only way to 100% exceed OSHA regulations and keep your workers safe is with a specialized engineered anchor point system. Engineered anchor point systems are anchor points specifically made to exceed OSHA regulations and make sure that your workers can withstand a fall. There are temporary or permanent engineered anchor points. Permanent anchor points are ones that are made of galvanized or stainless steel and are permanently affixed to the structure. They are becoming more popular in recent years, especially on new home construction. Many builders offer homeowners permanent anchor points on their homes as a selling point. Permanent anchor points are easy to install and are cost-effective, and they can be useful even after the initial construction phase. Horizontal lifelines are part of a Personal Fall Arrest System (PFAS). They allow multiple workers to work at the same time, while still being protected from fall. Most workers can only be connected to a single anchor point at a time. On a job site with many workers, it may be unreleastic to have every worker tied off to their own anchor point. That is where horizontal lifelines come in. They allow multiple workers freedom of movement while still being protected. If you have a crew of people working instead of just one or two employees, you will want to consider a horizontal lifeline. 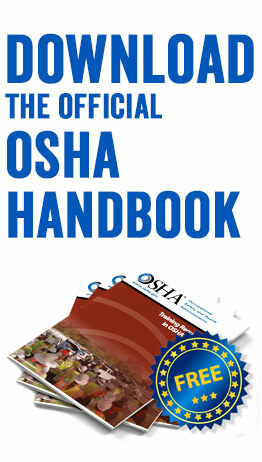 If designed for the proper forces as required by OSHA’s 29 CFR Subpart M, it can hold multiple workers at a time (the “5000 lbs per worker attached” is the regulation rule-of-thumb, but it is important to note that OSHA states in their regulations that what is actually required is a safety factor of two. An engineer could design or approve an anchor point for you that did not meet the 5000 lb requirement if calculations showed that the anchor point would support twice the maximum forces in the event of a fall). Portable anchor poins are useful in situations where there is a temporary need to access a roof or other elevated structure. These portable, non-penetrating weighted anchor systems can be set up quickly and easily with common tools. They are ideal for temporary jobs or for solutions where permanent anchor points are not an option. A PFAS is a tool that all workers should have when doing work at any height. This includes construction workers, roofers, painters, and other trades that work at elevated heights. When working perfectly, a PFAS is your first lifeline of protection from injury from falls. However, a breakdown in any one component of a PFAS could result in injury. Because of this, always follow the manufacture’s instructions on how to properly set up a Personal Fall Arrest System. A connector such as a lanyard of lifeline that connects to the anchorage. In addition to a PFAS connected to an anchor point, workers should use temporary guardrails on any location where falls can happen. These are commonly installed on unfinished stairs, balconies, and on roof perimeter. This adds an extra layer of safety, and can also prevent injuries from falling objects as well when combined with a toeboard. The safest temporary guardrails are made of steel and conform to OSHA standard 29 CFR 1926.502(b). Always follow the manufacturer’s instructions or consult a qualified person, as defined by 29 CFR 1926.32(m), for proper temporary guardrail installation. This person could be the owner, the supervisor, or any other worker who has extensive knowledge, training and experience with fall protection. Even the best anchor points can be unsafe without proper training. The employer should take the necessary steps to ensure that all workers are properly trained on how to use anchor points, as well as trained on the proper way to wear a harness and operate a Personal Fall Arrest System. Simply giving workers the equipment without training is a violation of OSHA standards. If you need training for your workers, Onsite Safety can help. Selecting the right anchor point should always be planned and never done in the spur of the moment. 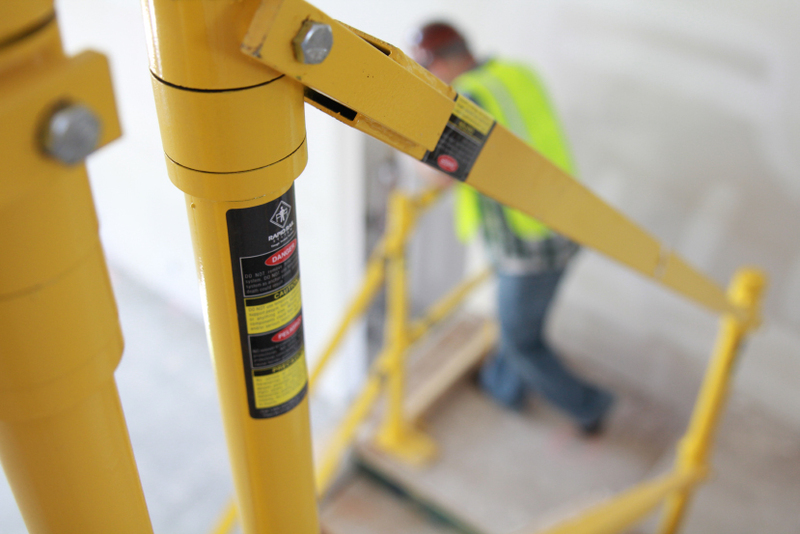 The only way to exceed OSHA regulations and make sure your workers are completely safe is to use an engineered anchor point, and to make sure your workers know how to properly use it. Need anchor points for your job site? 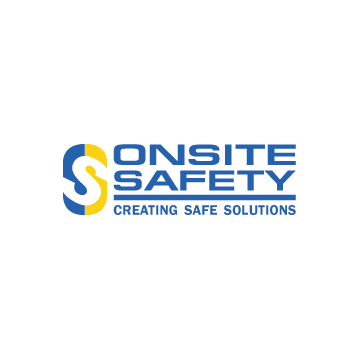 Contact us today to see how we can help you reach your safety goals.